Making your own chia jam is really easy and quick. 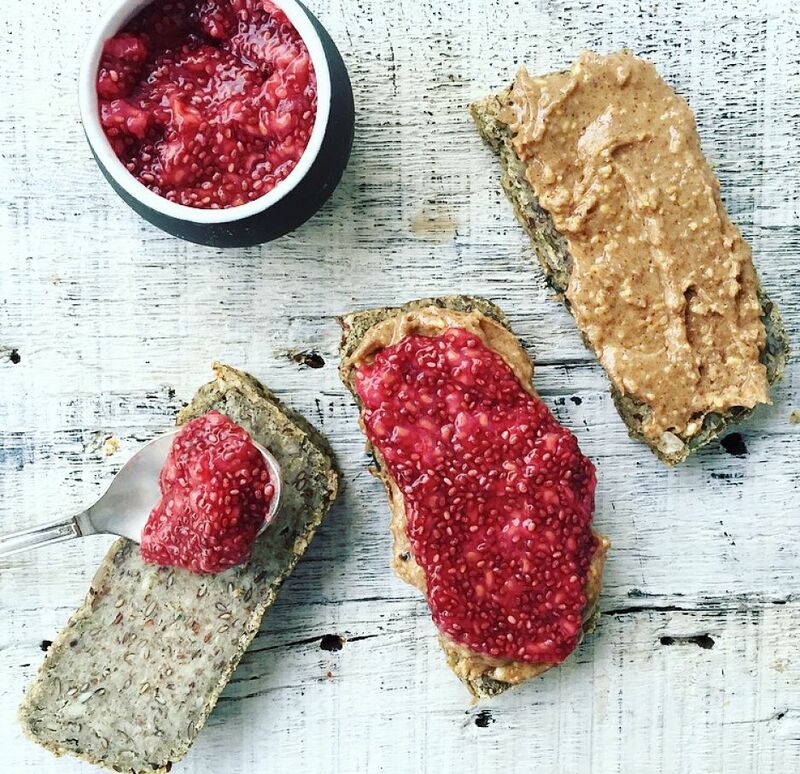 When you make your own chia jam, you can avoid the sugar laden store bought jams. You can put it on your toast, use it as a topping for porridge, granola, ice cream, whatever! It’s a great way to add more chia into your diet. I know you’re going to love this. Combine frozen raspberries, juice of 1/2 lemon and honey if using in a small saucepan and heat over low. Mash berries with a fork and stir until broken down to a consistency you’re happy with. Taste, add additional honey if you’d prefer it more sweet and less tart. Pour jam into a jar and refrigerate for 1 hour to set.